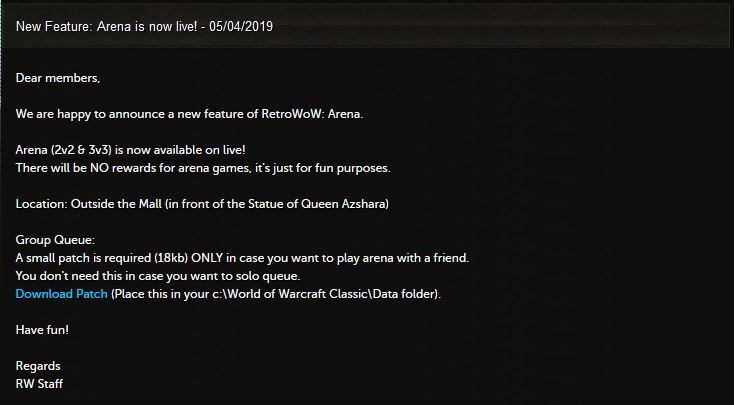 The RetroWoW team has released custom patch allowing for 2v2 and 3v3 arena games as part of their Vanilla WoW realm. 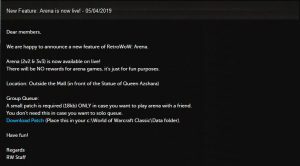 There will be NO rewards for arena games, it’s just for fun purposes. You don’t need this in case you want to solo queue. 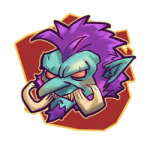 Download Patch (Place this in your c:World of Warcraft ClassicData folder).